The Tollygunge Club, popularly called Tolly, is one of the premier country clubs of India, located in Tollygunge. Prior to the locality being named Tollygunge after Col. William Tolly, it was known as Russapugla, a densely forested area abounding in Sundari, Byne and Garjan trees. The extensive grounds of the club were originally an indigo plantation laid out in 1781 by the Johnson family, who were amongst the pioneers of the plantation industry in India. Later the grounds were to become a royal park at the heart of the princely estate established by the exiled family of Tipu Sultan, the deposed ruler of Mysore and the house which the Johnsons had built as their home became the garden house of the new Mysore Estate. 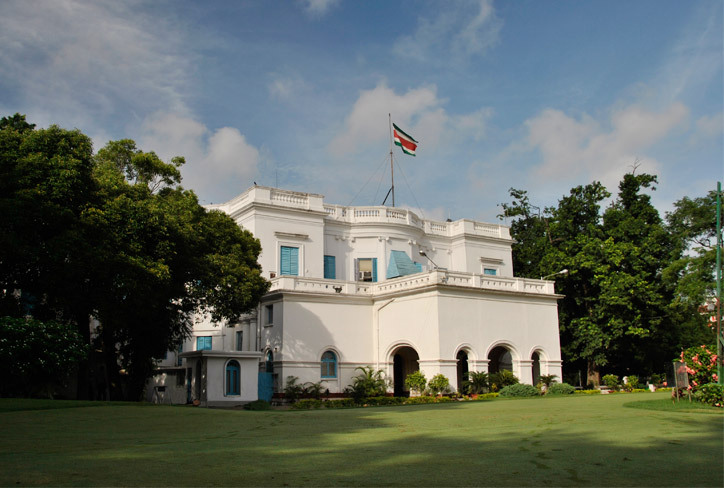 In 1895, the entire property was acquired from the Mysore family by the Tollygunge Club Limited and the old Johnson home is today the club’s clubhouse.In 1895, the main building along with 130 acres was purchased by Sir William Cruickshank who was then head of the Bank of Bengal, which became the State Bank of India. He had found the dilapidated property when he was out riding early one morning and lost his dog. It was Cruickshank who founded Tollygunge Club, as an equestrian sports facility in the year 1895 to “promote all manner of sports”. It is spread over 100 acres (400,000 m2), with a clubhouse that is over 200 years old. Sports apart the Club offers members and guests a wide range of entertainment the year round from open-air theatre and cinema to music and dancing. This entry was posted in Club Houses, Socio-Cultural Institutions, Ways of Life and tagged clubs Col. William Tolly, country clubs, garden house of Mysore, Johnson family, old calcutta, Russapugla, Tolly, Tollygunge Club, William Cruickshank.